Bring home double the WWE action with this legendary Summer Slam 2-pack! 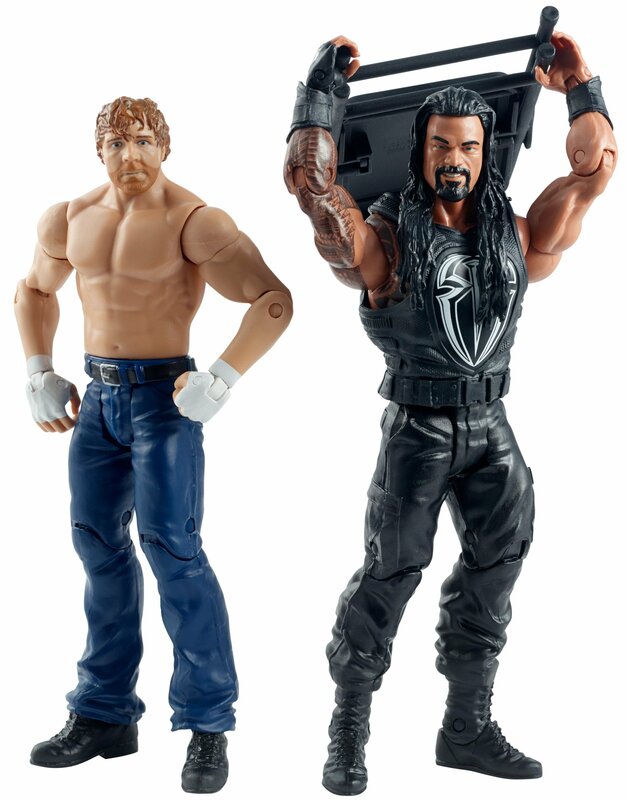 Kids can recreate their favorite matches with these approximately 6-inch figures created in "Superstar scale"
Bring home double the WWE action with this legendary Summer Slam 2-pack! Kidscan recreate their favorite matches with these approximately 6-inch figurescreated in "Superstar scale". Pose them to spar, pair them to battle or createmayhem with multiple figures. All offer articulation, amazing accuracy andauthentic details like armbands and tattoos. Choose from WWE Summer Slam2-packs including Roman Reigns and Dean Ambrose and John Cena and BrockLesnar. Each 2-pack sold separately, subject to availability. Colors anddecorations may vary.